It's April Fool's Day! What a fun day, huh? Birthday Earring Give-a-Way this weekend. to have a give-a-way. LOL! 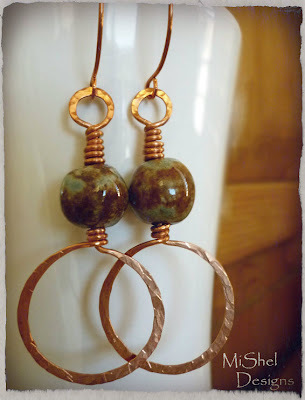 There were 5 of you who like the Copper w/Sari Silk earrings and 6 of you who liked the Copper w/Ceramic Bead earrings. My Life in Dog Years! I hope you enjoy your earrings and I will be contacting you via email this afternoon so you can send me your mailing address and I can get these popped in the mail to you!! Everyone have a great week and play nicely with your friends and family today for April Fool's Day - okay?! 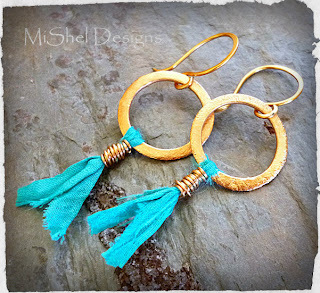 Wow, what beautiful earrings to get! Congrats to both winners! That was an awesome giveaway! I am so happy for the winners!